We are actually -24 degrees today and climbing. Yesterday -26 and wind chill -50. Nuts I tell ya! At least this is the last day for the brutal temps. Tomorrow it will start returning to our normal winter temps. I for one will be so glad. I have felt like a trapped animal these past few days. Picture me bundled in my down coat, hat, scarf and gloves and heavy duty boots carrying Buddy outside to the spot in the yard he does his business. I had to do this or his paws would freeze immediately! I am so over winter!!!! Ok let's get to the post. I do not sew but I can use a staple gun and hot glue gun like no ones business! This was my office chair. I have had this chair for a long time. I love this chair because of it's comfort. I sit for long periods of time at the computer so this chair is so comfy to do that. The material on this chair had seen better days. So off it came. 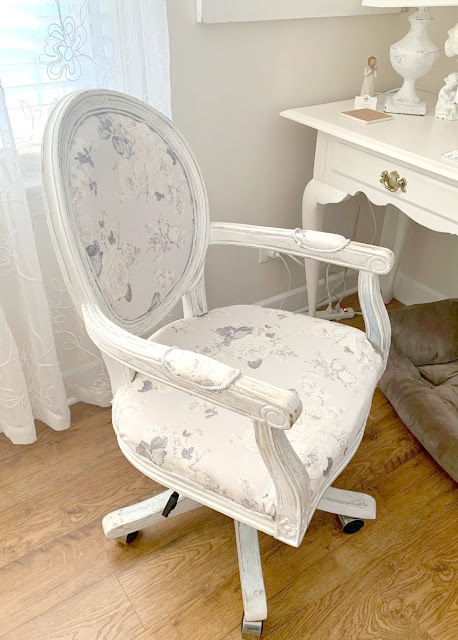 With a good staple gun and glue gun I was able to re love this office chair's with some new fabric. Here she is! 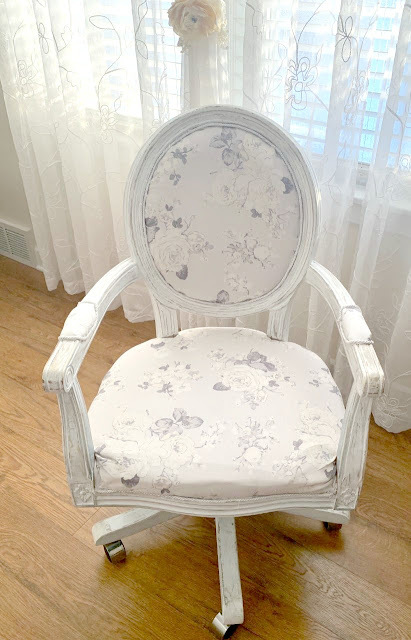 She is chippy white and has new pretty fabric and I can even twirl on occasion when the mood strikes in this chair!!! My chippy sweet office chair is back in business. Amazing what you can do with a staple gun and hot glue gun when you cannot sew. I started to work on the new banquette. I kept the custom slipcovers from my Ikea chairs after I sold the chairs. 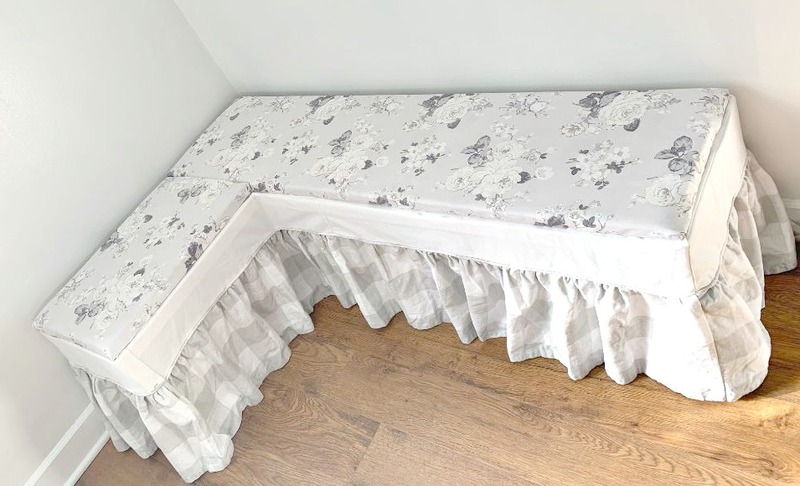 I thought maybe I could use the buffalo check ruffle on the new banquette. This is where I ended up after stapling and making a padded seat. Just not lovin it! Even with looking at adding a back to this I still was not loving it. This was my inspiration from Ballards Designs. I found this on Offer Up for $40. It looks in good shape. I believe I can re love this piece with a more updated look using paint and a new padded seat and possibly some new legs. Stay tuned hoping this plan will work. Terry and I will pick this up on Saturday and hopefully get to work on it. Now onto the winner of the sweet dryer ball give away. And the winner is Tonita! 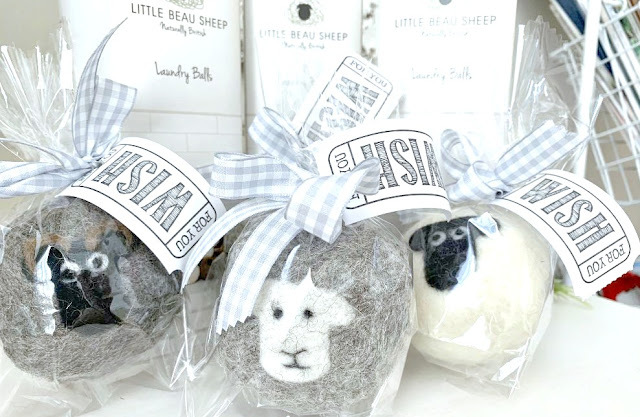 Tonita email me your address and these sweet little dryer balls will be on their way to you. Have a great rest of the week and wonderful weekend. Hoping by tomorrow here in Illinois we will begin to thaw out. 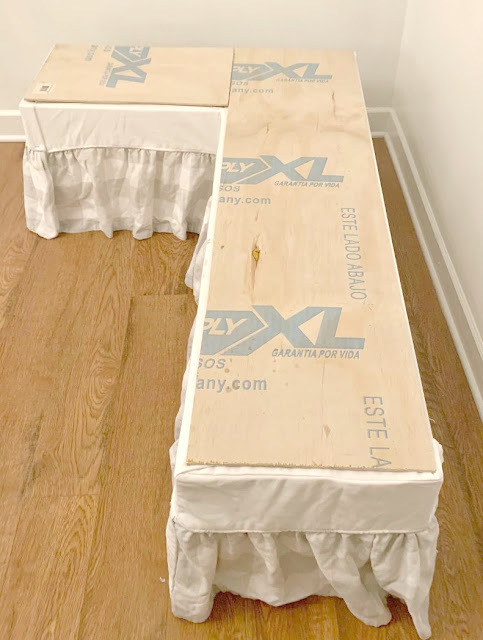 Your new banquette is darling. Paint will spruce that right up. I can't wait to see. I'm so so sorry about your brutal temps. That bench you found is going to be perfect. What a great find. I know Terry can turn it into your inspiration for sure. 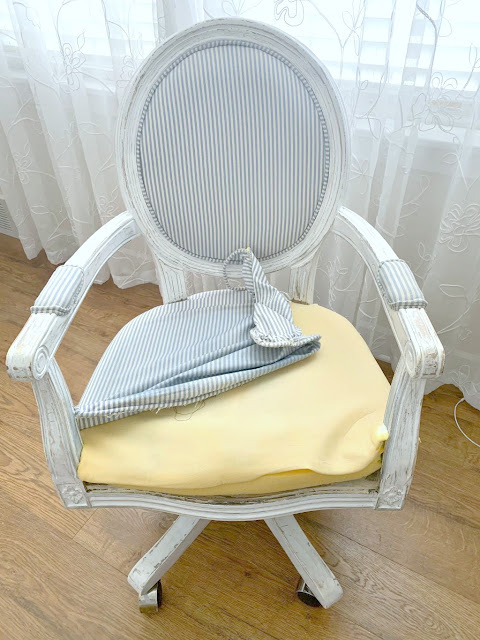 Your recovered chair is so sweet! That bench you found is going to work great! Congrats to the winner. Kris, you find the most amazing furniture! This new set looks like it will turn out fabulous, once you and Terry get your magical hands on it! I do like the one with the back. Painted chippy white, it will be perfect. We have had 3/4" of rain in less than 3 hours. We almost never have thunder and lightening. I was sitting on the window seat earlier and I actually felt one jolt of lightening shake my body. White, new cushions and your style will bring this piece to life. I know you have that extra 6th sense vision to see it through. HUGS! I love how the chair turned out. And when we reach a high of 20 degrees you will be twirling.. it will feel like a heat wave after this crazy cold. Sometimes it goes that way. I think the new piece you are going to get will work out. Keep warm. It was zero here last night. 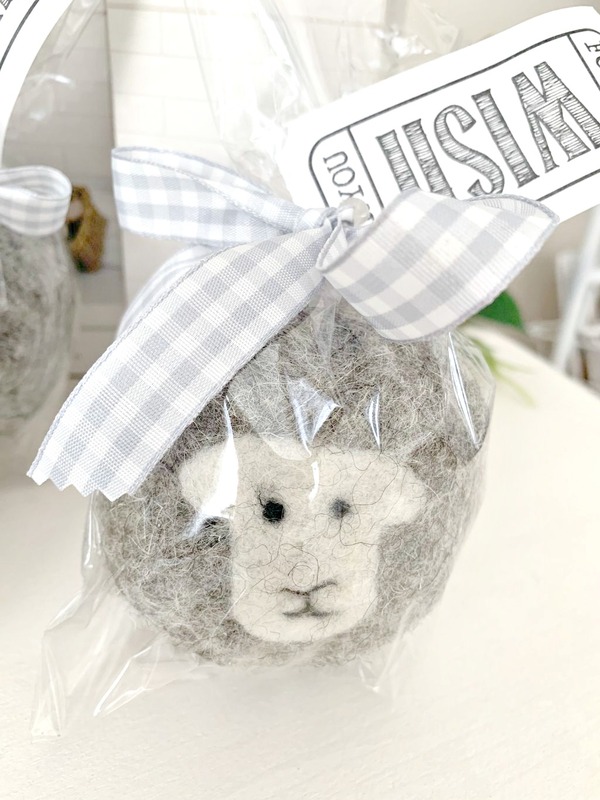 I love that fabric for your chair! I don't sew either, but I don't think I'm even good with a glue gun and a stapler, lol. 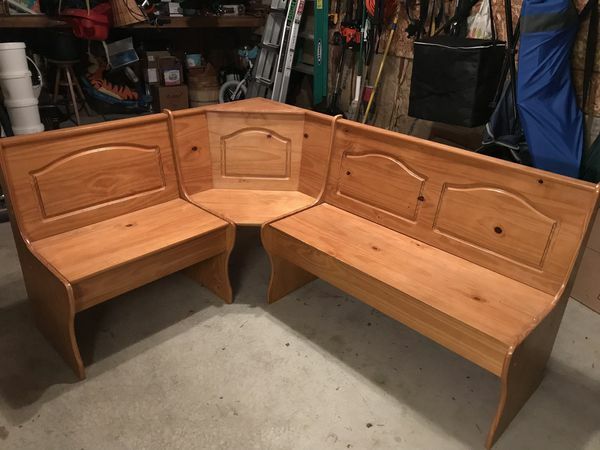 You find the best stuff on OfferUp - that banquette looks perfect for your area! I know you will give it your beautiful, personalized touch. You did a great job on the banquette, Kris, and on the chair!! I hear you though, if you're not digging it, it's just never going to 'sit' right with you, ha ha!! Love that floral fabric though, wow! Oh Kris, I knew that chair would be absolutely adorable!! 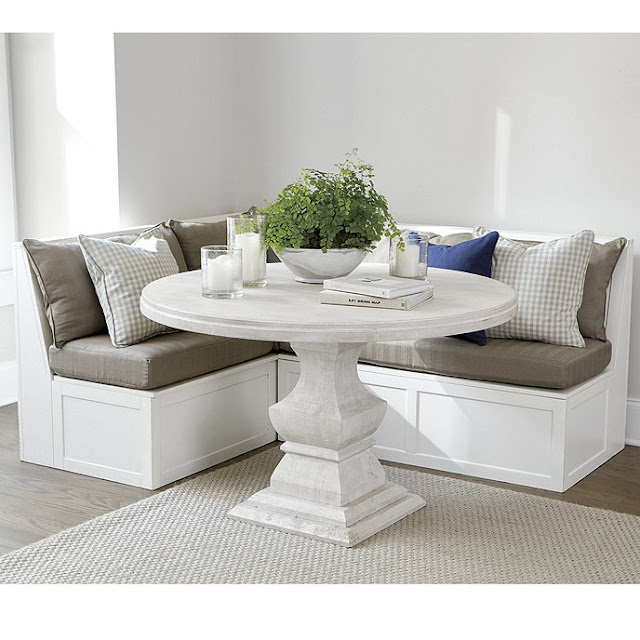 Love, love the banquette and it's look adorable in your corner dining space. I sure need someone like you and Terry, I'd walk you through my house and not let you leave! I'd ask you a million questions on what to do with this or that. You are amazing and to have a sidekick is truly awesome! That sounds like a great price for the wood banquette! I know it will turn out beautifully, everything you touch does, even those pieces that you are personally not satisfied with. Poor Buddy, and poor you! I've found from this week of carrying James Mason around from room to room that my back is about to give out. We're supposed to keep him crated for two weeks while on meds for a disc problem but he was so unhappy being in there so much so I'm carrying him around and keeping him confined to one room at a time. I hope you do get some warm temps soon, you and Melanie too! I do hate these super cold temperatures we are having here too Kris. I am glad tomorrow is start to February. I feel bad for the poor dogs. No walk yesterday or today for Bosco. Just outside in yard very fast. I really like how you redecorated your chair. That is so great that you can do that. I really did like the corner seating area you made. I can’t wait to see how the new one will look. Congrats to the winner of your giveaway. You have so much luck with Offer Up! That's amazing...I agree, I love what you did with the Ikea pieces, but I think that the one with the back will look amazing. Can't wait to see it!! Stay warm!! How disappointing after all that work! But your new plan looks quite promising. I love your new chair fabric! Such a nice spot for you with Buddy by your side. Glad things will warm up soon! So glad you can look forward to a bit less frigid temperatures. I do not envy your Chicago area winters. 2 winters in the mid 1980's in Northern Indian was way enough for me. I do not like cold, I do not like snow (unless it is in pictures), I do not like thick coats or the need to wear a muffler, I am a only low 50's winter temps cali girl I am. I did like you cushions and ruffle, but if you are not happy, there is no reason to compromise your vision. You did a great job on reupholstering your office chair. 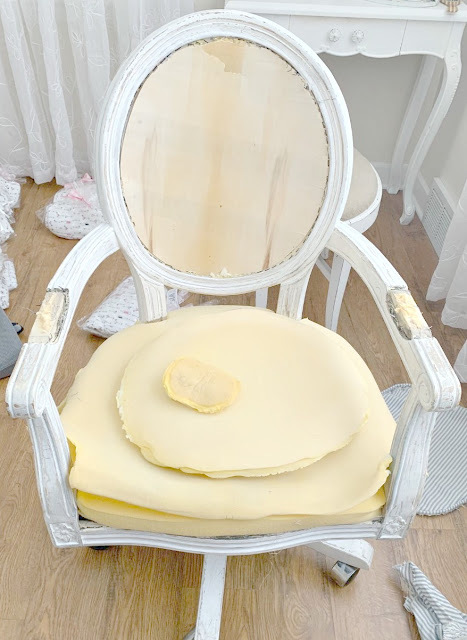 Your chair turned out so lovely. I am so anxious to see what you do with this banquette. I have one just like it and hate it as is. 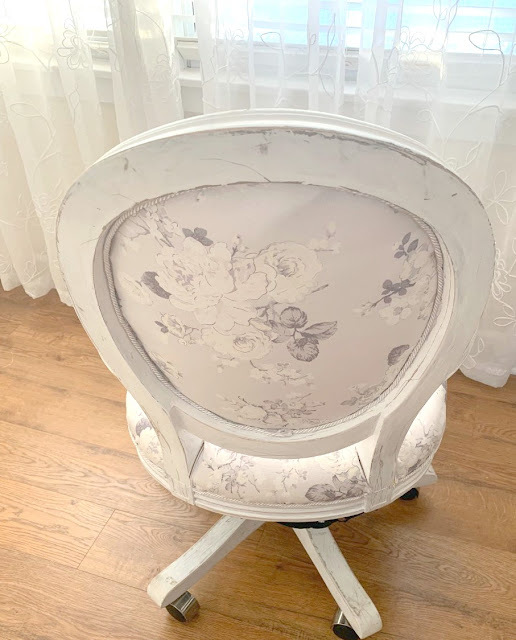 You are my favorite blogger and do such wonderful things so inspiration I am sure will come from your finished "remodel" of this piece. What a deal for $40! I sure hope you thaw out soon. I never thought about how you would take Buddy out in that weather. Those temps are so low! And that chair is fabulous! I'd twirl all day long in that beauty! The fabric is so pretty. Can't wait to see what you do with the banquette too. Happy Friday! I’ve tried talking Dan into letting me get a banquette for the kitchen dining area but so far no luck. I like the look with a round table to go with it and I already have a round table! Sorry your first attempt didn’t work but hopefully the other one you found will make the difference. 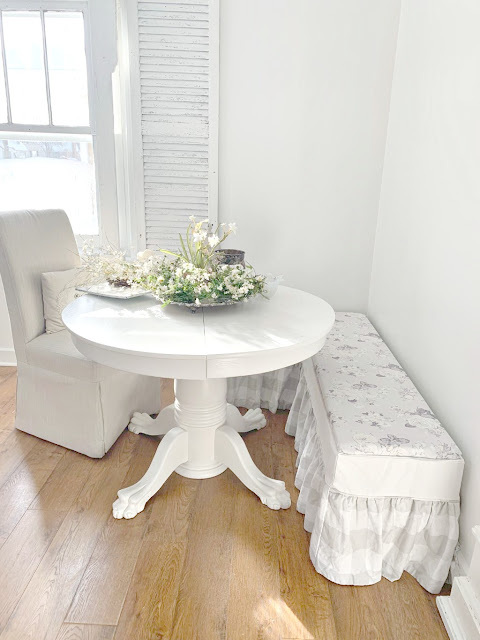 Because of the height of the chair by the table the first thing that struck me was the banquette area you created was too low. It definitely needs a back to create more height so I hope your new one will work out better. At least with only paying $40 if you still don’t like it you aren’t out much.